As the song says, don’t call it a comeback. No, really. While it might seem that he stepped away from the blockbuster movie business he helped created, Steven Spielberg never really went away. 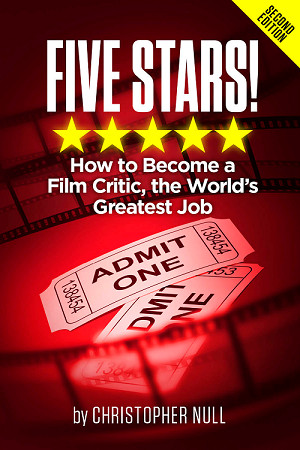 Sure, you can look at films like Lincoln, The Post, and Bridge of Spies as detours into Award Season Oscar bait — and rightfully so — but the man who made Jaws, Indiana Jones, and ET household words still has a firm grip on how to preach to popular culture. 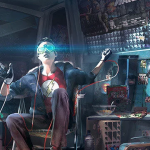 Ready Player One is not an instant classic like many of the movies in the director’s forty year oeuvre, but it’s a winning action adventure which plays to his many strengths while giving our current obsession with fan service and nerd culture a much needed revision. Yes, Spielberg is playing to the people who chortle at The Big Bang Theory while praising Chris Hardwick and his Nerdist brand for making the geek a new source of media significance. 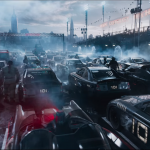 Based on a novel by Ernest Cline, Ready Player One is set in a dystopian future where the world has been destroyed by overpopulation, pollution, global warming…you name it. The big diversion for the population is something called OASIS — which stands for Ontologically Anthropocentric Sensory Immersive Simulation — a virtual reality where they can work, play, whatever. Buried within this arena is a game called Anorak’s Quest, built by the late James Halliday (Mark Rylance) who buried a series of Easter Eggs within the complex world. Whoever finds them all will get ownership of OASIS, and a lot more. Wade Watts (Tye Sheridan) lives in a Columbus, Ohio slum with his aunt. He plays Anorak’s Quest and wants those eggs. He teams up with various “avatars” in the game, including Samantha Cook, who plots to protect the OASIS from the greedy corporate hands of Innovative Online Industries and its CEO Nolan Sorrento (Ben Mendlesohn). As they dig deeper into this computer-generated world, they discover some shocking truths about what’s going on behind the scenes as well as how to “win” the Quest. 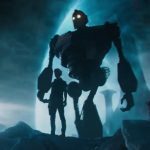 Far better than Hook, but indebted to that movie for its sense of out-sized wonder reduced to a very human element, Ready Player One is a blast from beginning to end. Spielberg, at the ripe old age of 71, has lost none of his cinematic touch. When it comes to eye popping action, the kind you can actually follow on film, he remains the master. The sequences inside the OASIS are overflowing with the kind of kinetic fun that you find in the filmmaker’s massive cannon. This is also a love letter to the ’80s and the video game, film, TV, and other media images and ideas that helped build the current frenzy over console titles and units. From a literal encyclopedia of references and homages (specially to a certain Stanley K.) to callbacks to his own work, you can tell Spielberg is having fun…maybe too much fun. The characters tend to suffer here, lacking a depth which could compel this otherwise engaging film into the realm of the man’s previous masterworks. The story is also standard hero/quest boilerplate, never really rising above the seek and find facets the narrative needs. Sure, there is some subtext here. As in Minority Report, Spielberg shows his fears of being flooded by technology–online anonymity, social media presence, data security and identity theft–but here, they are merely afterthoughts to images of your childhood heroes teaming up for epic CG battle royales. Even the world in which this is set, where people are forced to live in junked trailers stacked on top of each other, gets a little lip service before spiraling into another mindbending set-piece. Ready Player One is not a return to form for one simple reason: Steven Spielberg never lost it. He still knows how to deliver the good, and he does so here with a vengeance.